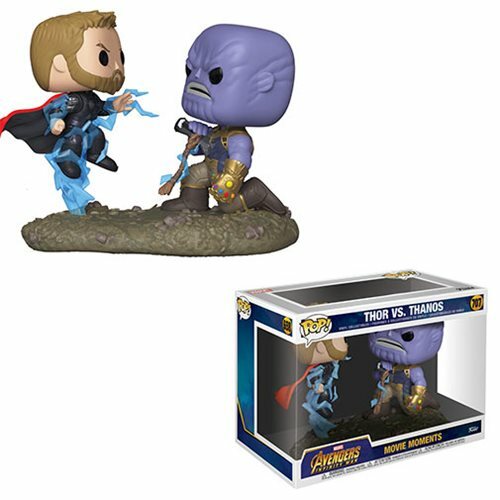 The God of Thunder is standing strong against the Mad Titan in this epic Avengers: Infinity War Thor Vs. Thanos Pop! Vinyl Figure Movie Moments #707. Ages 3 and up.